Wireless carrier Sprint will be bringing the Samsung Galaxy Nexus smartphone to its customers after posting a sign-up page on its website. The 4G LTE-enabled handset has been a Verizon exclusive since its launch last month, but will now debut as one of Sprint's first LTE handsets later this year. The company has previously focused on the WiMAX standard on devices like the HTC Evo 4G but has now embraced the rival LTE technology. Sprint hasn't confirmed exactly when the device will go on sale, but is giving interested potential customers the opportunity to sign-up. The Ice Cream Sandwich-toting handset will also have the NFC Google Wallet payment app on-board, whereas Verizon has decided to wait until it is further developed before embracing. 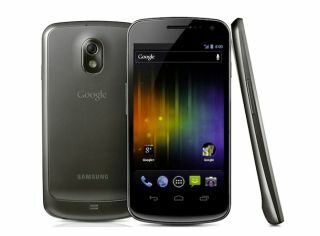 The Samsung Galaxy Nexus, the flagship Android 4.0 phone, was created in close collaboration with Google. It has a 4.65-inch, 720p display, 1.2GHz dual core processor, 32GB storage, 1GB RAM and a 5-megapixel camera with an LED flash.